Friends of the Library presented the 46th Annual Arts & Letters Awards honoring Clif Tinker, Laurie Ann Guerrero, Jan Jarboe Russell and John Phillip Santos October 14, 2018. Among others honored in prior years are T.R. Fehrenbach, John Igo, Margaret Cousins, O'Neil Ford, Dr. Amy Freeman Lee, Tommy Lee Jones, Naomi Nye, Jesse Treviño, Harding Black, Sandra Cisnreros, Brother Cletus, Paula Allen and Bill Fitz Gibbons. 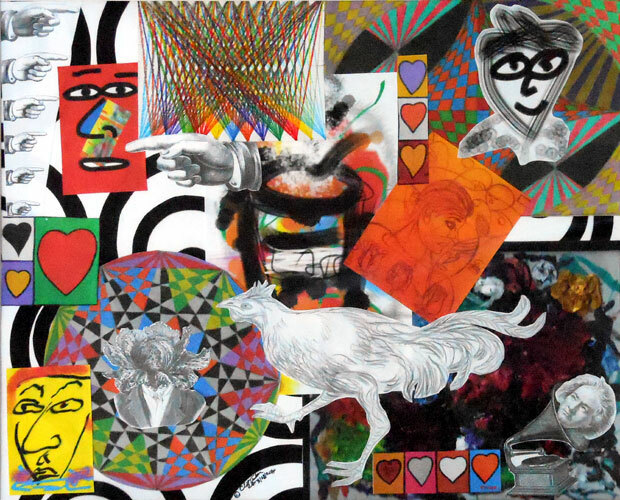 Artist Clif Tinker has lived all across the United States in his lifetime. He was born in Virginia, graduated from Fullerton Union High School in California, and spent time in Colorado, Montana, New Mexico and Texas. He lived in Copenhagen, the capital of Denmark, for three months in 1983, where he attended language school to learn Danish. He earned his BA in psychology from the University of Houston in 1981. His first professional artwork was as a paid daily cartoonist in the University of Houston Newspaper in 1985. He moved to San Antonio in 1985, earning a BFA in Painting from the University of Texas at San Antonio in 1992, and an MA in art history in 2001 from UTSA. His master's thesis is an analysis of the sculptural images, and a history, of the Aztec Theater in downtown San Antonio. It will be published by Wings Press as a book in 2011. Tinker is both a working artist and an educator. He began his teaching career in 1986, working at the San Antonio Art Institute the last seven years it was open. He is in his fifteenth year of public school teaching, currently working at James Madison High School as an art teacher and as the chair of the fine arts department. In 1993 he designed the nylon banners, known as "The Transition Game", to decorate the Alamodome for the San Antonio Spurs. At just over 80,000 square feet, this is the largest work of art in Texas. In 2003, Tinker designed the official poster for the San Antonio Public Library Centennial. In 2004 he designed "San Antonio Spurs Then and Now", a commemorative poster commissioned by the San Antonio Spurs to chronicle the history of the team for the season ticket holders. Combined sales and distribution of these two posters is over 6,000 posters. Also in 2004, the Texas State Teacher's Association used Tinker's painting of their headquarters and the Texas State Capitol as the image for their official 125th anniversary poster. 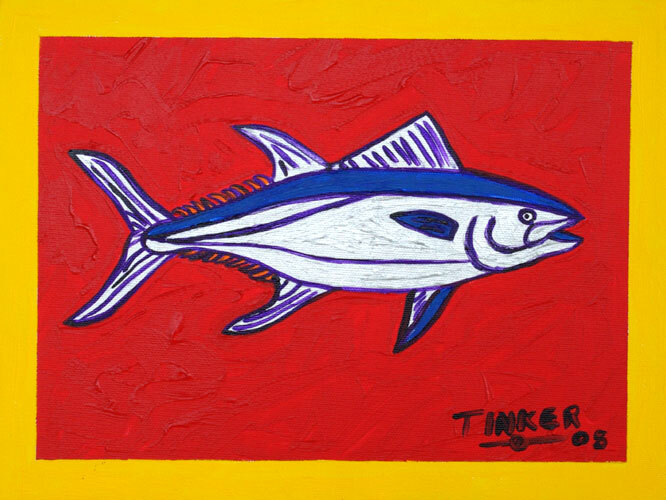 Throughout the state of Texas one of Tinker's paintings is being featured on 80,000 HEB reusable art bags. 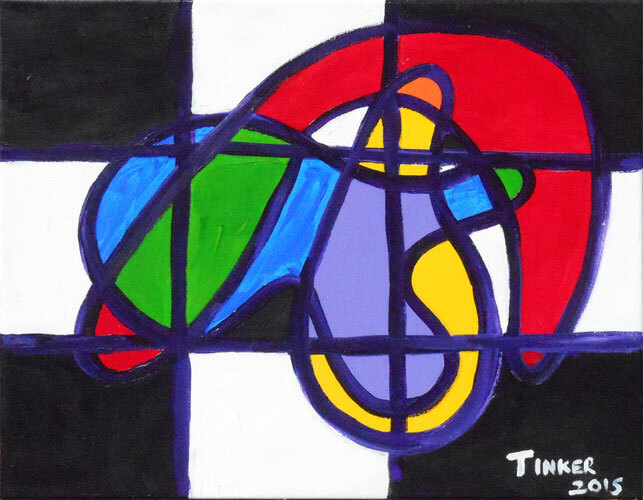 Tinker's work is about energy, movement, interaction, and energy systems. 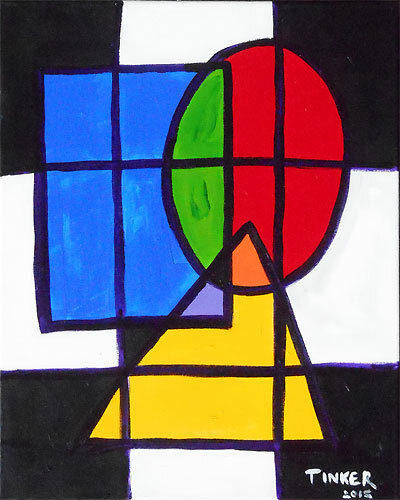 He is a neo-Expressionist, and his work often refers to a sense of place. Tinker's major series are of downtown San Antonio and the Alamo, a study of aircraft at the San Antonio airport, the Alamo Cement factory before it was redone as a shopping center, paintings of the sculpture in the Aztec Theater in downtown San Antonio, cactus, roosters, African animals, runners, lizards, and school busses. 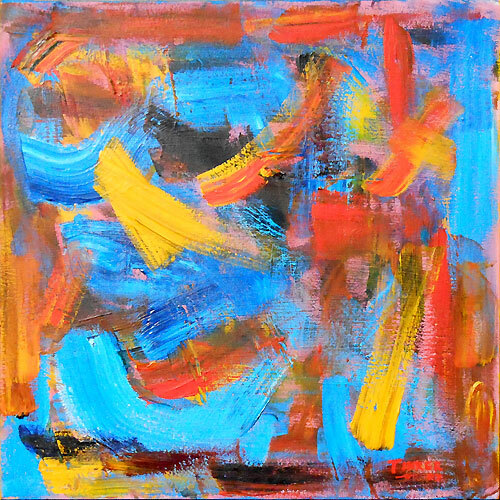 He has also done a series of non-representational paintings in the vein of Abstract Expressionism. The new set of series he is also working on are of scenes along Broadway in San Antonio from Loop 410 to Downtown, tropical and ocean fish, and views of Jefferson High School in San Antonio. Original works currently available. You may purchase them now. Commission a painting. Pick the painting you like; tell us what size fits your space; when you need it and we will quote you a price . Prices start at $295 for 16" x 20" or smaller. All acrylic paintings are on gallery wrapped canvas with extra large stretcher bars. Also, you may license the right to reproduce an image. Pick an image you like; tell us how you plan to use it and we will quote you a price.